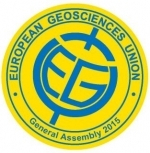 The General Assembly 2015 of the European Geosciences Union, will take place on 12-17 April 2015, in Vienna (Austria). As part of the Ocean Sciences Programme, Session Group OS2: Coastal Oceans, Semi-enclosed and Marginal Seas, we are organising the Open session on Coastal and Shelf Seas (OS2.1). More information can be found in the 'upcoming events' section of this website. Abstract submission deadline is January 7, 2015, 13:00 CET by electronic submission only through the meeting website.